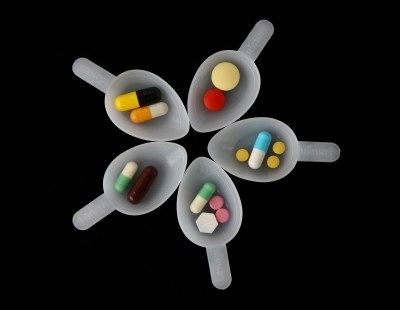 The word placebo is from the Latin, meaning “I shall please.” It’s most commonly used in medical and research settings, when a simulated, or otherwise inert “treatment” is given to a control group so that participants don’t know whether they’ve been given an active or inactive treatment and can’t inadvertently skew results. It’s long been known that people taking placebos often report improvement just as their counterparts receiving a real treatment do. Because the response to a placebo cannot be attributed to an actual medical intervention, it is believed that components like expectancy and conditioning are what cause the placebo effect to work. IT service desk workers have found that the placebo effect often works with computer hypochondriacs as well. In other words, if an end-user whose computer doesn’t have a definable technical problem thinks the IT service desk worker has done something, they’re likely to perceive an improvement in performance, even if the tech person didn’t really do anything. Here are some examples of how IT workers use the placebo effect to help some of their more maddening end-users. The yellow ones make you 46% more attractive. Fortunately, today’s IT service desk software allows remote access to people’s workstations, so to-ing and fro-ing from cubicle to cubicle is minimized. But sometimes the diagnostics fail to point out a problem. The tech worker may then go to the machine in question and fail to find anything wrong with it, yet the end-user insists there’s a problem. That’s when a bit of puzzled head-scratching followed by an “I got it!” expression can help. At that point the IT worker goes back to his office, waits a few minutes, then calls the end-user “diagnosing” the problem as reversed hard disk polarity, or low router fluid, and reports having fixed it, which satisfies the end-user. Audio engineers have been doing this forever. 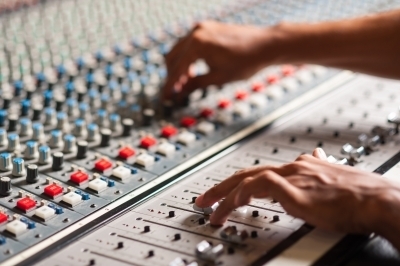 Countless record producers have been satisfied when an engineer busily manipulates sliders and dials on a control panel that’s not actually hooked up to anything. Some of the more creative IT workers have created their own on-screen control panels complete with sliders, radio buttons, and dials that do absolutely nothing. Except, that is, to satisfy the end-user that something has been done about their “jittery” screen or “slow” mouse. Ever notice how in movies, hackers and those who pursue them always type on a black screen in green text? And that they type at an approximate speed of 300 words per minute, with no mistakes? Some people believe that this is how actual IT workers get stuff done, and some IT workers have learned how to use this to their advantage. Go to hackertyper.com and start typing nonsense as fast as you can. Pretty impressive, huh? Not only will the clueless end-user think his problem is solved, he’ll think you belong on one of the CSI shows rather than in the IT department. Every office has a few end-users who hate change. Upgrade their workstation to one that’s faster and doesn’t display the Blue Screen of Death several times a day and they’ll complain. The keyboard is uncomfortable. The mouse doesn’t work right. The IT service desk worker has heard it all. Fortunately, she knows how to appease this user when there’s nothing wrong. All it takes is close examination of the offending device (say, a keyboard) within sight of the end-user, a concerned look, and a little bit of time. She probably has a mylar bag or two stored in her desk, which she then uses to repackage the keyboard and present the end-user with the “new” one, which miraculously works just fine. Obviously, IT service desk workers encounter their share of real problems that they have to actually fix, and for the most part, they do so to the best of their ability. But when the occasional computer hypochondriac complains about a machine that’s in perfect working order, sometimes offering a placebo is the only way to make the end-user happy and move on. If your IT service desk uses great software like Samanage, they have the organizational and technological tools to provide IT service delivery quickly and accurately, with complete records and easy reporting. That way, whatever is going on with end-user machines, your IT service desk can be confident that their software is doing exactly what it should be doing so they can continue to deliver top IT services.